Whisk egg & mix with prawns. Add flour & stir well. You can create wonders using cereal, from a fuss-free hearty breakfast to baking & even whipping up a meal. Since my Japanese guest is a seafood lover, I decided to introduce him to one of Singapore’s most popular dish – Cereal Prawns, using Quaker Oats. 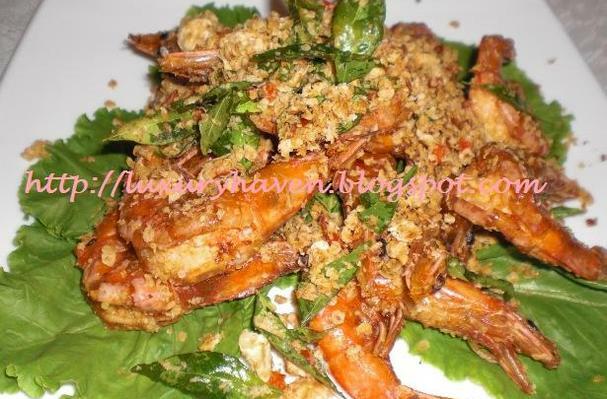 Pls visit http://luxuryhaven.blogspot.com/2009/09/prawns-cooking-with-quaker-oats.html for step-by-step photo instructions.